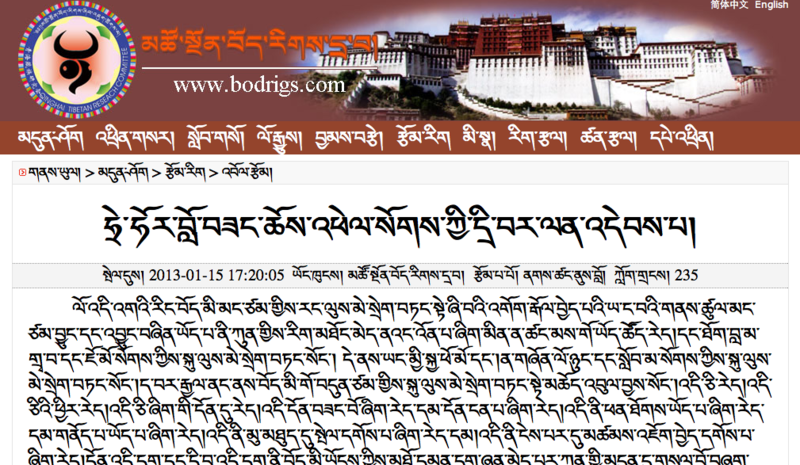 High Peaks Pure Earth presents the English translation of an essay written by Tibetan intellectual Naktsang Nulo on January 13, 2013 and posted on the website Bodrigs.Com, a website he also manages, on January 15, 2013. High Peaks Pure Earth first introduced readers to Naktsang Nulo in 2011 when Woeser wrote an essay about his memoirs which had been published in Chinese translation in Taiwan. The autobiography of Naktsang Nulo titled “The Joys & Sorrows of a Boy from Naktsang” was originally written in Tibetan and published in June 2007. 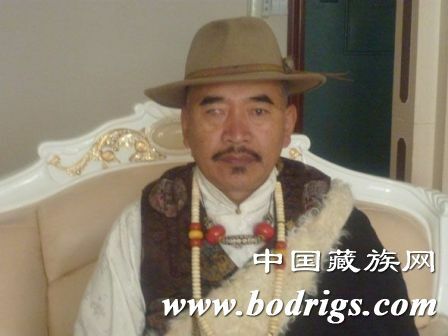 A brief biography in English of Naktsang Nulo can also be found on Bodrigs.Com here. It is highly unusual for any essay or article reflecting on the self-immolations in Tibet to remain online for long in the Tibetan cyberspace but Naktsang Nulo’s essay is still accessible as of today. His essay is apparently written as a response to someone called Tehor Lobsang Choephel and other people’s reactions to the ongoing self-immolations. High Peaks Pure Earth has not seen any articles by Tehor Lobsang Choephel online however. Naktsang Nulo’s essay in valuable in that it airs views from a Tibetan living within the PRC and contains both a clear appeal for Tibetans not to self-immolate and also an appeal to His Holiness the Dalai Lama to “ask the brave Tibetans not to self-immolate”. High Peaks Pure Earth is very grateful to Bhuchung D. Sonam of TibetWrites.Org for translating this article into English. Unless one is deaf or blind, we can assume that everyone has seen or heard about the non-violent protests through self-immolation being carried out by many Tibetans in the last few years. Initially monks and nuns have carried out self-immolation protests and later this was followed by laypersons setting themselves on fire, including young students. So far the number of self-immolators has reached 97. Why is this? Why is this being done? For what purposes are these self-immolations carried out? Is this a good thing or a bad thing? Is this development useful or does it have a negative impact? Should this be continued or stopped? These questions are clearly put in front of every Tibetan. If one’s feeling are not restrained then any Tibetan cannot avoid pondering these issues and questions. The time has come for us to provide clear responses based on truth and honesty. What some of you have been saying is true indeed. Since a big challenge such as this is taking place amongst our people, every Tibetan is bound to have his or her own views and opinions on it. However, whether one expresses one’s views, whether one is allowed to say what he feels or thinks or whether one has the courage to articulate ones opinion depends upon various factors. Hence one cannot expect everyone to respond in uniformed say. Take my case as an example. My livelihood depends on my salary. For someone like me who has even lost the power over his life and death to an external authority, I do not have the freedom to express any critical opinions on an issue which is linked to the one who pays me my salary. Nor do I have the courage to hurt the feelings of my patron. To be frank, I knew this was a crime since last year. But I do not have the habit to tell lies and smile over a cup of tea to fool myself and others. Moreover, I do not have to stretch my hands to measure the size of a golden image of Buddha. And yet, whatever is being said it is clear everyone setting themselves on fire without harming others is an act of non-violent protest. Everyone who set themselves on fire, including monks and laypersons, had unrivalled faith and clear aims in their minds. It is well-known that they have resolutely decided to self-immolate with no regret in dying in the process. There is nothing I can do other than secretly shed my tears and swallow my deep sorrow for those who burn in the violent flames. I don’t even have someone with whom I can share my sorrows. What I want to state and request again and again from my heart and mind with deep sadness is that no matter what savage and brutal rule you may have to endure, please do not resort to self-immolation. You may come up with any other methods of resistance and struggle, but please do not set yourself on fire. I want to request again that no matter how pure your aims and hopes are, please do not resort to self-immolation. However, when I hear some people motormouth and say bad things, my heart is filled with sorrow and sadness. I heard some empty-headed people say that the self-immolators were full-stomached people who failed to realize their own happiness and they engaged in this act because they had nothing better to do. Funny indeed. I am now certain that I am not only blind but I am also turning deaf in my ears. I have certainly heard of people killing themselves because they could not fail to bear sorrows but until today I have never heard of people setting themselves on fire because they have nothing better to do. I am a deaf old man and perhaps I failed to read in between the lines of what empty-headed ones have said. A few other insensitive people have said that those who set themselves on fire were an ignorant lot, who have self-immolated for nothing. I have either been fooled by my salary and position as a District Commissioner or this 66 year old man has been subjugated and turned into a conscienceless and senseless person. For a long time, with my eyes I have been seeing that all the educated men and women are running after money and official positions day in and day out; lamas and abbots leaving their own monasteries and running after money and roaming around to become Chinese lamas. Only now have I learned that 100 ignorant fools set themselves on fire from among 6 million Tibetans. I am the fool among fools. It is surprising that those who realise happiness are said to be happy and those who know nothing self-immolate. It is even more surprising that there is such disparity though everyone is a human being. Some shameless people have remarked among other things that self-immolators were incited and fooled by others to do so. To tell lies and carry out propaganda do not need ethics or to consider what is right and what is wrong. Or perhaps I know too little. I can understand that perhaps it is possible for one or two young people to be influenced by others to carry out self-immolation protests, but I cannot imagine learned lamas, monks, nuns and grown-up men and women have been incited or influenced by others. Especially, educated and highly experienced person such as Tamdin Dorjee, the grandfather of the 7th Gungthang Rinpoche, could not have been influenced into carrying out his self-immolation protest. They have but offered their lives on fire for clear aims and pure faith. I cannot think of anything else. Whatever is being talked about, one thing clear is that cowardly people like me will know nothing other than filling our stomach and keeping our backs warm. Nevertheless, wherever one goes or wherever one may reside one can hear and know that the united call of the self-immolators is the return of His Holiness the Dalai Lama to Tibet. There is no disagreement on this. This is the wish not only of the self-immolators but the unwavering hope of all Tibetans. The world has clear knowledge of this. There are many ways to fight for freedom, to fulfill one’s aspirations and to struggle against the government. At a time when there is a so-called good leadership of the Communist Party, good governance from the administration, good economic development and good livelihood for the people, it seems that an individual, a group of people or a nationality can demand rights from the government, regional authorities or even the Communist Party by submitting appeals and through legal channels. It appears that one may not necessarily have to resort to self-immolation. Perhaps these are just the words of someone like me who does not know much. But what I want to request again is that no matter what savage and brutal rule you may have to endure, please do not set yourself on fire. Whatever methods of struggle and resistance one must adopt, do not resort to self-immolation. No matter how pure and incomparable your hopes and faiths are please do not set yourself on fire. I particularly want to request our root guru, His Holiness the Dalai Lama, to pray for the sea of suffering in Tibet and kindly make a statement to ask the brave Tibetans not to self-immolate. My friend Tehor Lobsang Choephel and others, it is our responsibility to think about the welfare of our people and ensure the relationship among the nationalities and stability of the country. I genuinely and truthfully want to respond to all your questions on the internet. I hope that you will read this piece in which I have shed some of my rather incomplete thoughts. Kindly bear with me for any mistakes. People are self-immolating because of on-going failed policy and cruel measure of CCP over Tibetan people, so in my opinion self-immolation will be last if the CCP or government of china will response the united grievance of Tibetan people and people who self-immolated.Therefore; blame should be on CCP member and their policies over Tibetans and we are on the side of Tibetan people. Everyone knows this that on-going self-immolating is totally against Chinese but theses brave tibetan should not set themselves on fire because no one brave enough will remain in Tibetan Community, if keep dying for these heartless and coward people, they can not continue what you started,, They must stop this, please, I cant watch you dying any more,, please stop this now. You bravos are my only hope for our future, we all can fight with different approach together. Please stop this .. you are all my heart and soul.. I so agree with Mr. Naktsang Nulo’s core message; that we don’t need any more immolation, either in Phayul, nor in the North-Indian re-settlement communities. I was horrified, last Fall, reading about & seeing still-photos of the immolators. I don’t think I’m alone when I point out that death by fire is my least favorite way to die. I have noting but respect for & I believe, a unique understanding (a bit better than other outsiders) of mind-set of, the immolators. I’ve tried to do, consistently, Tong-Len–for these folks & their loved-ones, family, friends, etc. Yet, besides writing letters & so forth, that’s all I can do, over here–as the policies of the C.C.P., which get implemented with such brutal force in Tibet, seem solid & unchanging as rocks. I’m glad that Mr. Nulo believes, as I do, that H.H. Tenzin Gyatso could: “make a statement to the brave Tibetans [& surely all ethnic Tibetans, remaining in Phayul are brave] not to self-immolate”…Diplomatically…Gently…Without casting any negative judgement on the acts of those who’ve already taken that step–so as not to further upset, cause suffering to their families, loved-ones & their friends. H.H. Dali Lama’s been asked about issuing a statement, gently discouraging self-Immolations (National Geographic News, Nov. 30, 2012: “Tibet’s Man On fire”) & H.H. demurred, @ that time, saying he feared any statement he might make, to discourage immolations, would be construed as a negative judgement on past immolators, by their survivors. One must realize that family, loved-ones & friends of a self-immolator are going through a process of grieving & I believe H.H. Dali Lama intended to be compassionate about that–it’s a tricky situation. My response to each report of an incident is shock and sadness. These people are some of the best. It’s not for me to judge or give advice, pro or con–I am too far removed. As far as I can see, this extreme measure is taken because all other avenues of request or protest are closed. Personally I believe my fellow Tibetans in Tibet should not self-immolate, even though I understand their reasons for doing so. 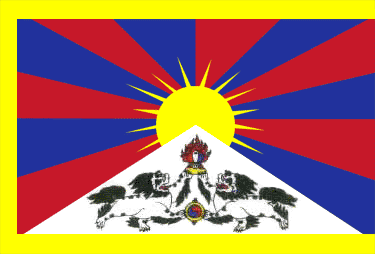 I think Tibetans should live to fight & resist the Chinese occupation. The CCP outnumbers Tibetans. They have 80 million members and we only have 6 million Tibetans. Tibetans should live & have children so we can continue the struggle for freedom in future generations if necessary. There are other ways of non-violent resistance such as boycotting Chinese merchants & Chinese goods or refusing to speak Chinese when conversing w/ other Tibetans. Just to clarify Mr. Dawa Tsering Taktsang’s remark. The ongoing protest in the form of self-immolation is not against the Chinese rather against the wrong and failed policies of the Chinese Communist Party. My intention here is not to undermine your thought or show myself superior.